Tips and Tricks for the WordPress interface- and updates on revisions. How to get the most out of plug ins- themes and the Word Press blog engine. While Drupal and Joomla continue to fork and swerve- WordPress continues to improve with refinements in the user experience- mainly, bringing more What You See Is What You Get WYSIWG features to the most used open source CMS going. 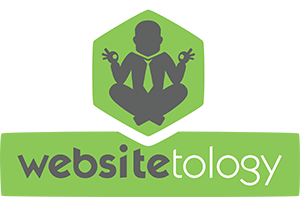 Almost 20% of the websites on the planet use WordPress as their backend- which is why we’ve been teaching our Websitetology Seminar since 2005. Edit images easily: With quicker access to crop and rotation tools, it’s now much easier to edit your images while editing posts. You can also scale images directly in the editor to find just the right fit. Drag and drop your images: Uploading your images is easier than ever. Just grab them from your desktop and drop them in the editor. via WordPress › WordPress 3.9 “Smith”. Other features make it easier to actually see your galleries in the edit window, build audio and video playlists- and most importantly- cleaning up the horrendous whack-a-mole editing of sidebar widgets- with a true WYSIWYG editor. All these improvements reinforce why WordPress is the 800lb gorilla in web content management. With every release, it gets EASIER to publish and manage your own site content.